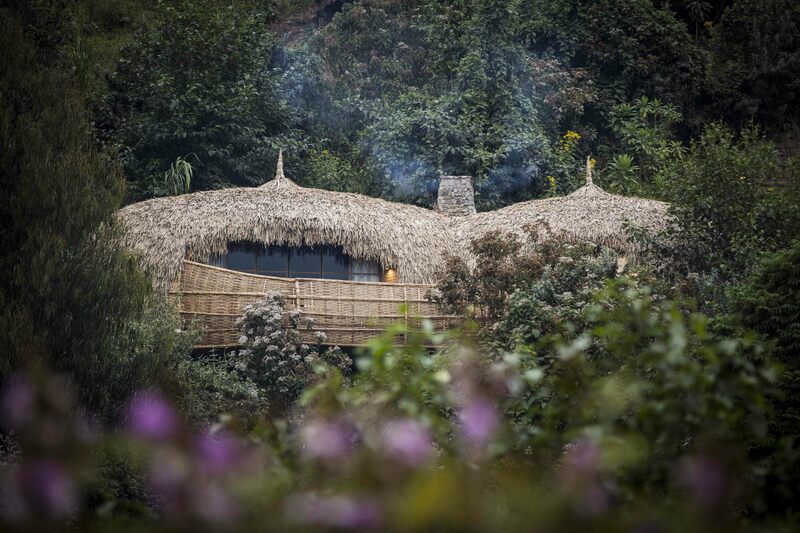 Situated directly next to the renowned Volcanoes National Park in Rwanda, Bisate Lodge consists of six spacious forest villas that offer a luxurious setting to enjoy an extraordinary gorilla conservation experience and explore the park. Nearby to Kinigi - the Volcanoes National Park Headquarters, the site features a spectacular view of the Karisimbi, Bisoke and Mikeno volcanoes. 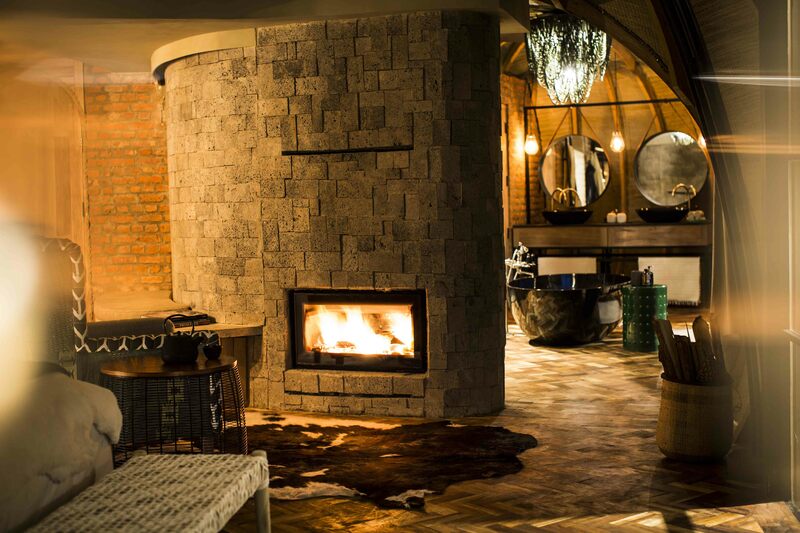 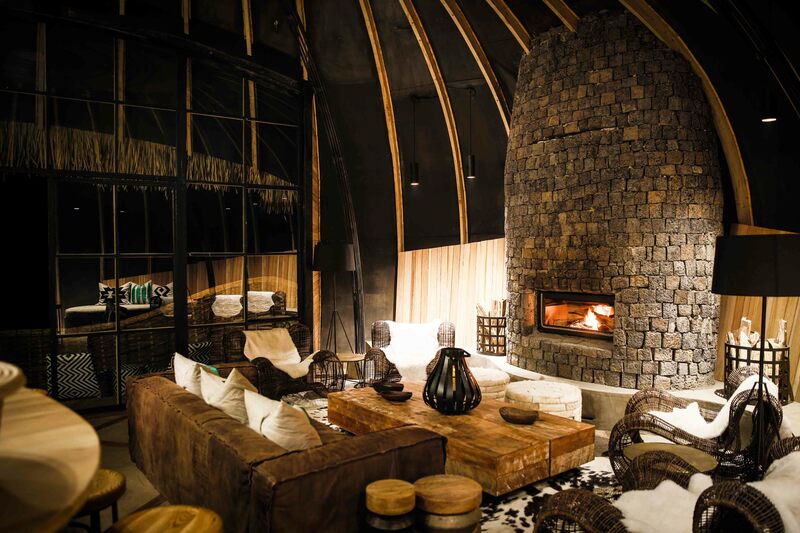 Designed by Johannesburg-based architectural practice Nicholas Plewman Architects, the villas are a generous yet intimate combination of bedroom, reception area and bathroom, all warmed by a central fireplace. 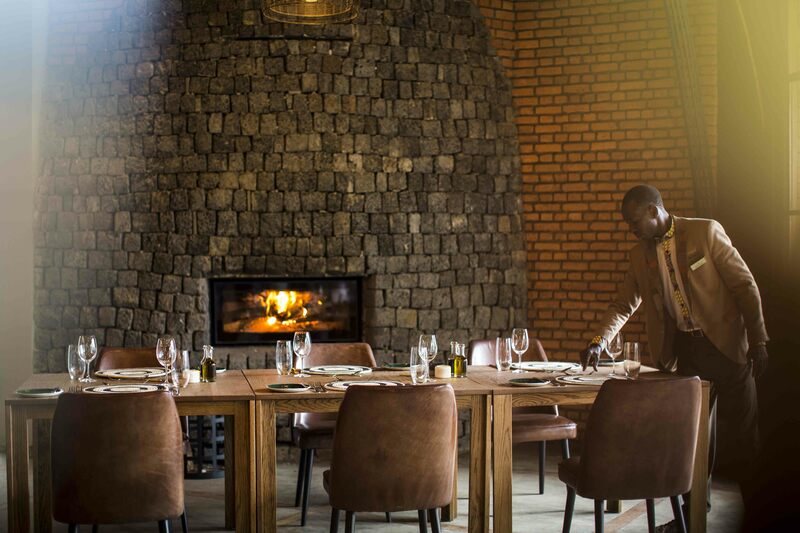 The interiors and architectural plan of the villas is rooted in the Rwandan building tradition and is designed according to the Royal Palace of the monarch. 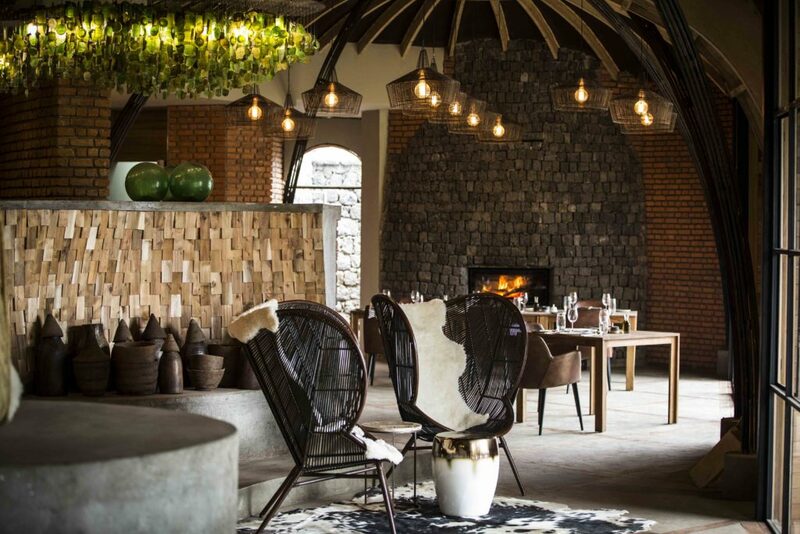 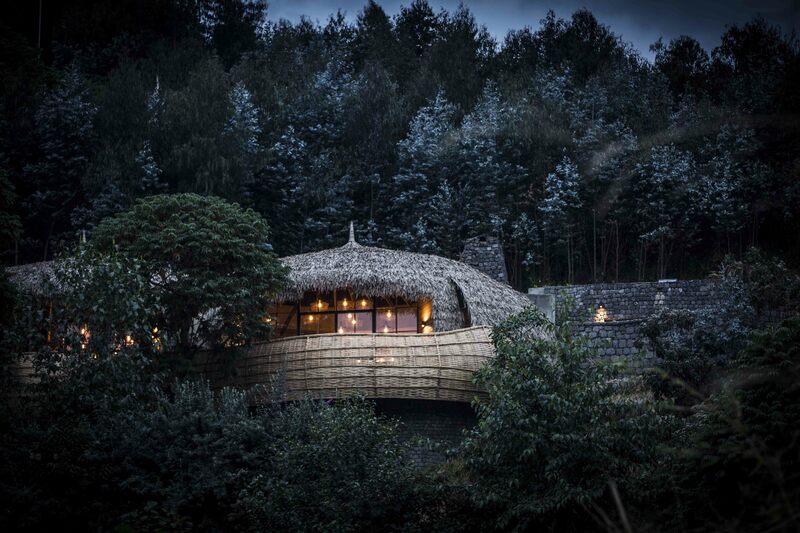 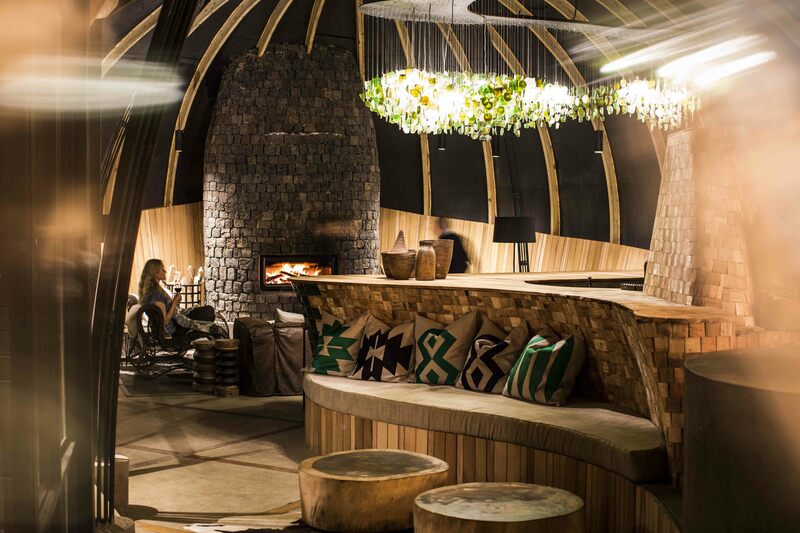 The spherical, thatched structure echo the many hills of the Rwandan landscape, while the richly-detailed interiors exhibit surfaces and screens made from a variety of woven materials with a strong resonance in Rwandan culture. Much of the furnishings are decorated using ‘imigongo’, a unique art form from the country. 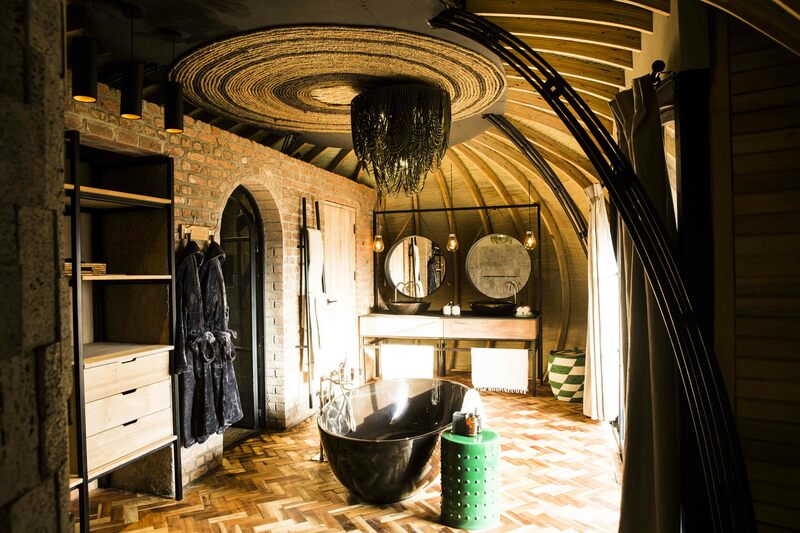 Other design elements have also been drawn locally; the use of emerald green particularly is reminiscent of the verdant green of the rainforest, along with the vibrant markets that reflects the villages throughout the country. 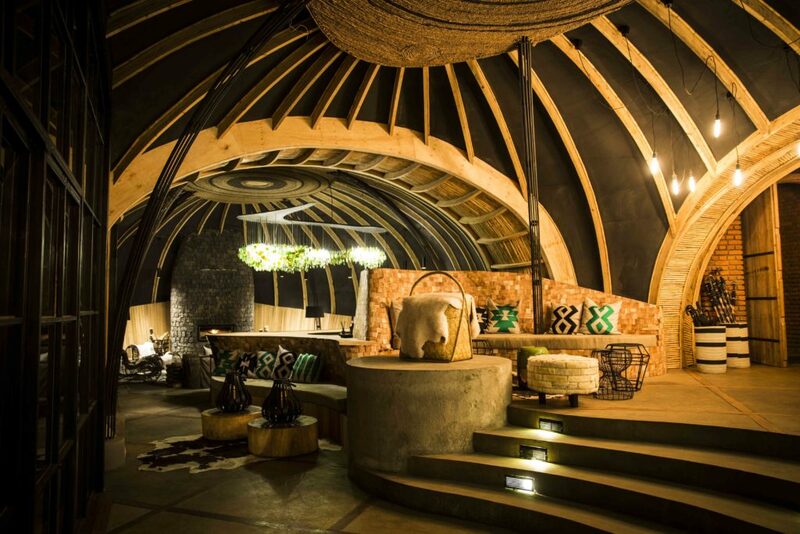 Taking into account all its details, the project successfully fulfills its objective of creating a world-class venture while also being eco-sensitive and sustainable.